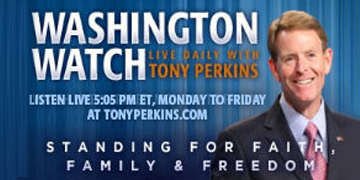 On Monday's edition of "Washington Watch with Tony Perkins," Dr. Alieta Eck joins Tony to discuss the real problems with Obamacare and her solution that would dramatically cut costs to patients. Rep. Mike Pompeo (R-Kan.) will be on to talk about the Supreme Court's decision today to uphold the constitutionality of prayer before public meetings. Breitbart columnist, Ken Klukowski predicted the court would rule this way in Town of Greece v. Galloway, he'll be on to explain the court's decision. Also, Fox News' Todd Starnes will be on with his latest story regarding a school teacher who took a 12 year-old boy's Bible from him in class demanding he is not allowed to read it. Todd's book: God Less America also released today!